I graduated in Law in 2011 and spent a few years working as a Membership Manager for a small not for profit in the healthcare space. I was inspired by the innovations in digital healthcare to look further into a career in Digital and Technology, and found the Fast Stream scheme! Since then, I’ve been posted to the Department for Work and Pensions for a six month stint in Warrington, where I got to grips with the funding process for IT projects in the department and all the various considerations around these. 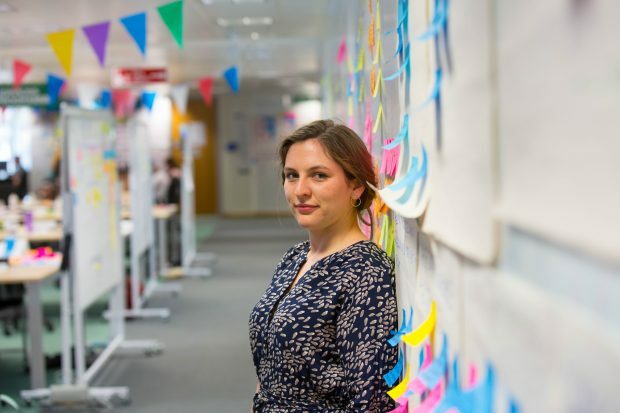 I’ve worked as a Business Analyst on the GOV.UK support team, understanding how we could improve the support process for both the public and departments using GOV.UK. This involved analysing the current process and working with all the teams and stakeholders involved to come up with a new process. I then moved to the Home Office to work as a Delivery Manager, implementing Kanban with three live service teams. This was challenging but also extremely rewarding, as I got to see the very real difference my work made to the productivity of the teams and introduce new ways of working to a directorate. I also helped with the planning of the high level road map with senior managers, where I introduced a new idea of how we could plan it, which was a great learning experience. I’m currently on six months secondment to a tech start-up, where I am putting my User Research training (which we receive as part of the scheme) into action, and helping them research a few key flows on their websites. I’ve also been able to suggest a new flow which met the user needs we discovered during research, and mock this up. Through the scheme, I’ve also started playing in a Civil Service netball league with other people on the Fast Stream which is a lot of fun. I had never played before, but it is great for making new friends and we are definitely improving. There are also regular meet-ups of everyone on the scheme. I’ve really enjoyed my time on the scheme so far, and I’m looking forward to my year long placement to really get stuck in to some longer term work! Visit the Digital and Technology Fast Stream website if you want to have an exciting role in government, transforming technology and building better digital services. Applications for the 2017 scheme close on 30 November 2016.